It was morning of January 31, 2008. My son, Corbett was born with a rare syndrome called VACTERLs. Each letter represents an anomaly but the most damaging for Corbett was the “R” which stand for renal. 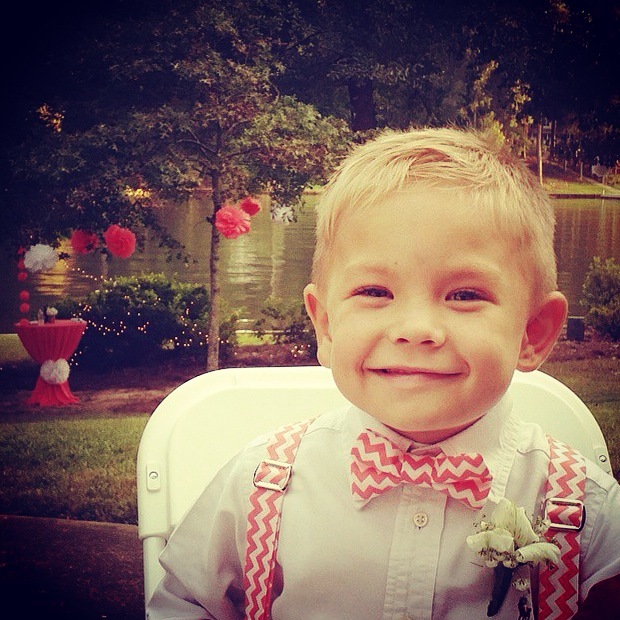 He was born with only one kidney and that kidney had grade V damage, the worst possible. 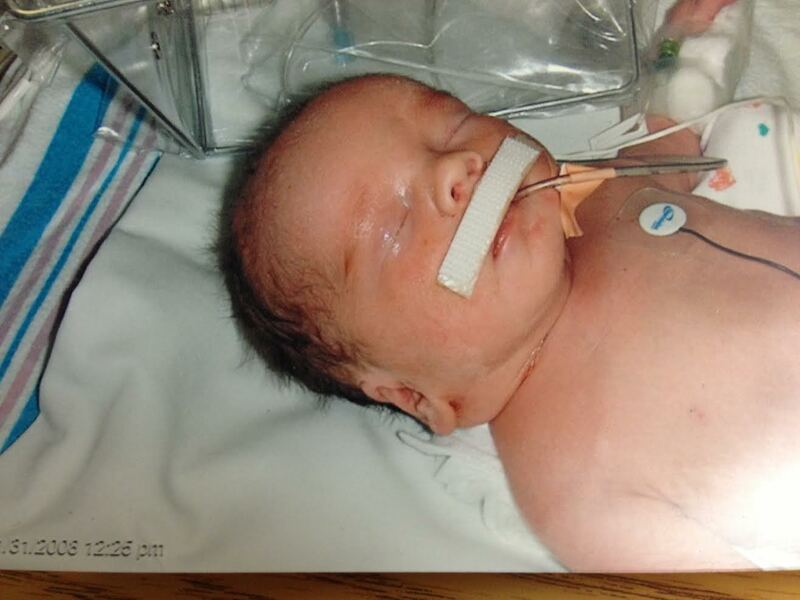 In essence, he was in renal failure at birth. 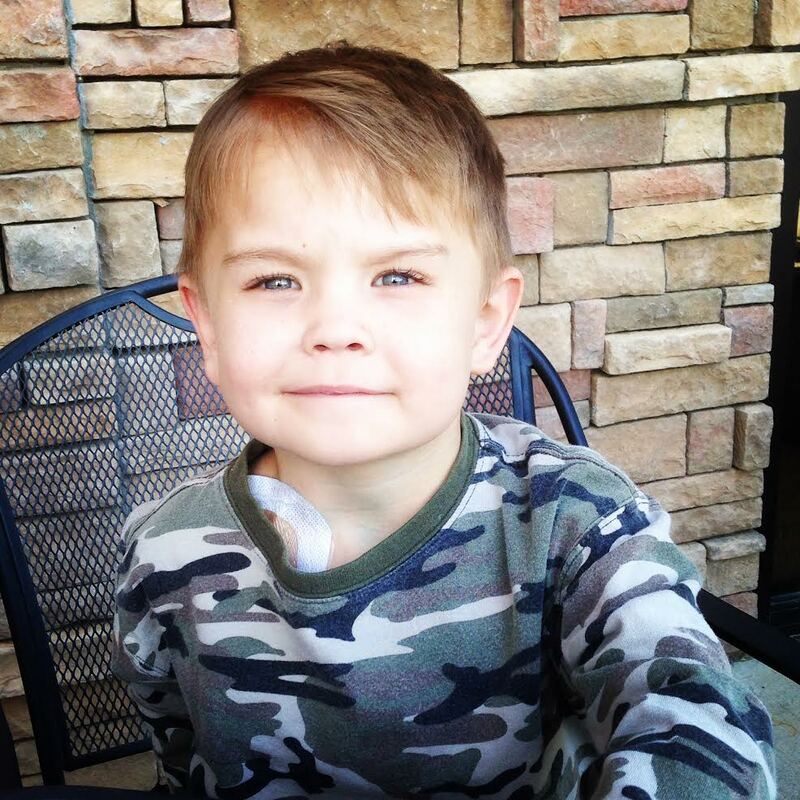 For his first 6 years of life, his health was managed by a long list of medications and many surgeries. Soon after his 6th birthday, we were told he would need to start dialysis in order to maintain his health and save his life. We began peritoneal dialysis at home and continued this for a year until he started hemo dialysis in March of this year, after a surgery on his bladder to help prepare him for a kidney transplant. Thankfully, my husband and his father are a match and Corbett will not have to be placed on a waiting list, which can be months or even years. The Transplant will be this year. When I think about his birthday (and the weeks following), I have so many memories –good, as well as not-so-good. I remember how adorably plump he was, being 7 weeks premature and with tons of medical needs and issues. The innocence of a newborn still amazes me to this day. I also remember the looks from nurses and doctors each time I walked into the NICU to visit and hold my son. Did I have my moments when I thought I couldn’t handle it? Absolutely. Do I still? Yep. However, my son is a fighter and how could I give back any less than he has, and continues, to give me on a daily basis. One of the most defining memories centers around a nurse I call “Honey.” Although I had a brief encounter with “Honey,” it made a big impact on me, my life, and ultimately my son’s life. It was Corbett’s third week in the NICU and he had a hole in his heart, chest tube (due to a collapsed lung), an NG tube for feeding, and a colostomy bag. When I wasn’t holding him, I would sit by his bedside and watch for bubbles in his bottle, looking for proof he was drinking his formula. In fact, I watched his every move, every breath and every squirm looking for signs he would be OK. I realize now I had no idea what OK would mean for him, or for me. One day as I sat by his NICU bed, a nurse I’ve come to call “Honey” pulled a chair up beside me. I remember being aware of her presence, but also aware that she may be pulling up a chair to tell me some news I wasn’t prepared to hear — the worst possible news a parent could hear. I knew deep down news like that would come from a doctor and not a nurse, however the feeling in my gut was the same. “Here it comes,” I remember thinking, and crying. I never had a chance to respond to her because as quickly as she came, she was gone. “‘If’ my child lives?’ Did I hear her right? If?” I was stunned, scared, and alone all in the matter of seconds. We expected family to support us through this medical journey we were about to embark on, but, it was friends, medical staff, and even complete strangers who also changed the way I thought about special needs. I have another child, Gracie, who is a year older than Corbett. Gracie was attending daycare at a facility that we loved. When the time came for me to return to work, I was petrified they would not accept Corbett with all his medical needs. What would I do? I approached the owner and she quickly reassured me they would accept him with loving arms. They also agreed to bring in a nurse to train the staff on how to care for all his needs. I cried right there sitting in her office. Recently, Corbett had a surgery and was hospitalized for a week, two hours away from our home town. My daughter, Gracie, was staying with relatives and never got a chance to come visit Corbett, or us, in the hospital. A coworker, who wanted to be anonymous, heard about Corbett being in the hospital and heard I had another child. He contacted my Manager and donated money so that she could purchase items for Corbett and Gracie so that each would have a gift for every day Corbett was in the hospital. I later found out who the coworker was and it still humbles me that other than passing him in the halls at work, I barely knew him. And yet he thought about both of my kids during that difficult time. That meant the world to me. I have since come to know him and found out he battled kidney cancer years ago, is currently fighting heart problems, and about to retire after 42 years with my company. Wow. Over the last seven years, there have been many encounters with people who never judged my special needs child, but rather supported and encouraged all of us along this journey. They are heroes in our eyes.